With his name alongside his team name how can you go wrong? Especially since you can choose the colour of this little chap's top to match the team colours of your football fanatical friend. Suitable for any occasion, whether it's Dad's birthday, a secret Santa gift for your footie mad boss, or a gift to celebrate a team's win, you can't go wrong! 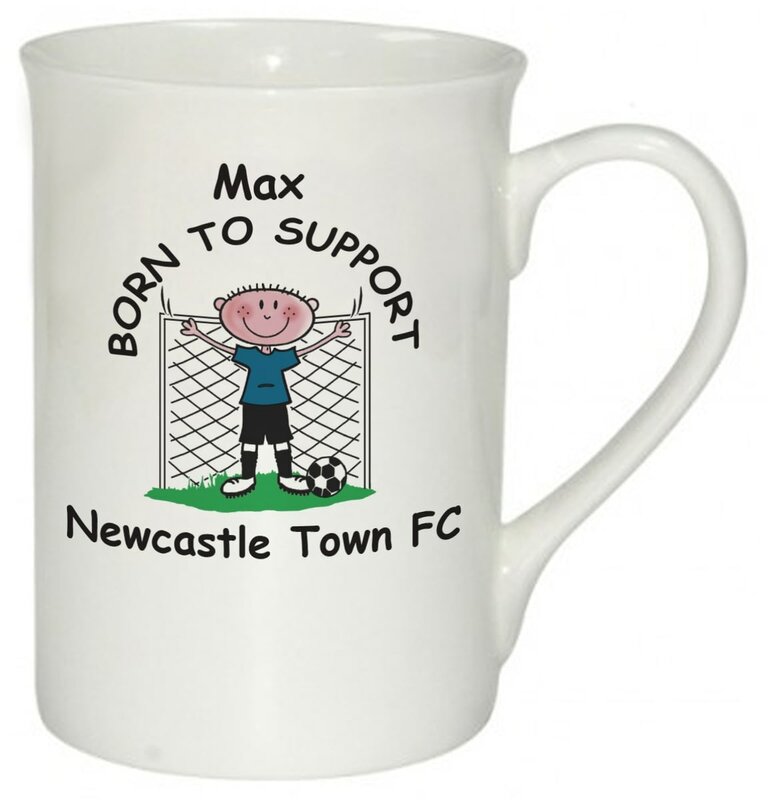 A personalised ceramic mug with a colourful design and the recipients name within the design. The scene on this mug is one that all cat owners should relate to. A cat playing with a ball of wool, or in this case string. Join the flock with this classic bold all over sheep design.